The wording and the style of your card can really set the scene for your wedding and give your guests a feel for what to expect. who is doing the inviting? traditionally it’s the bride’s parents, but it can be both parents, yourseles and parents or just yourselves. what style of wedding are you having? formal, traditional, informal, modern? 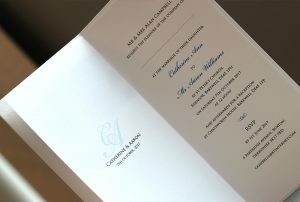 golden etiquette rule for invites wording is it should always have the location first, followed by the date and then the time. 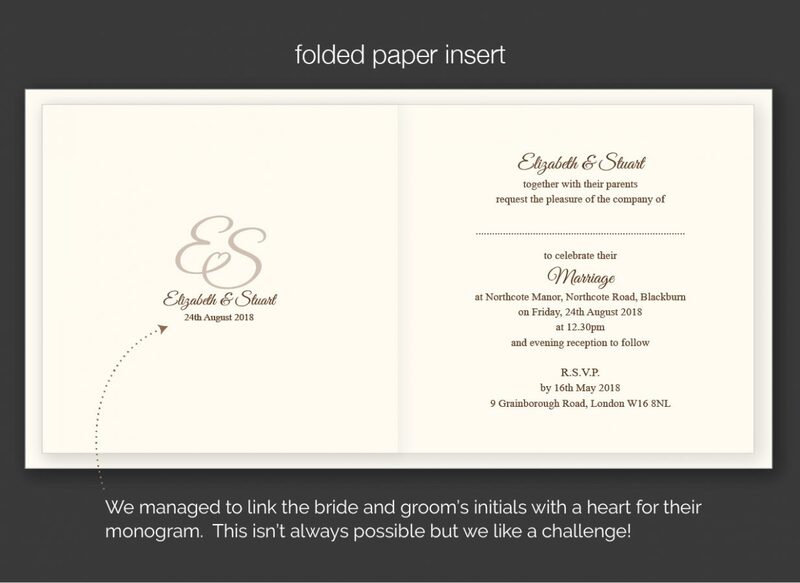 We find often our couples like to personalise and add the guest’s names whether it’s us printing them or providing a dotted line. This way you can be specific about who’s invited, this helps if your inviting only a few guests from a large family. 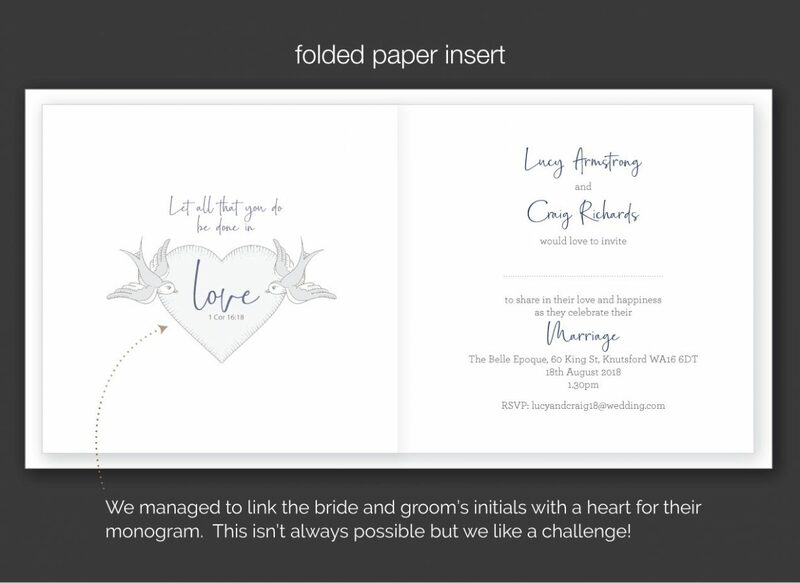 We have lots of other examples if you click on the wedding invitation, section of our site and view the insides of the cards. It also shows the rsvp details as well as the information sheet details people used. 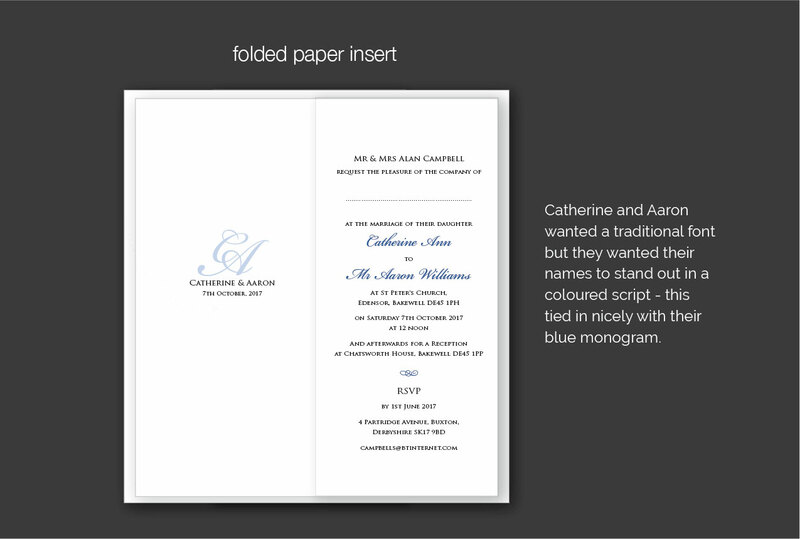 There are a few examples to of the same invites bit showing how we normally change the wording for the evening guests.